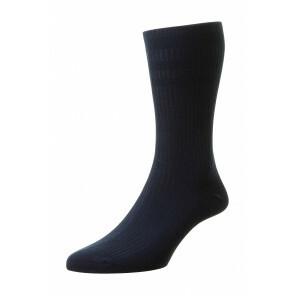 HJ Hall offers a range of premium quality socks for those with swollen ankles and feet. Ideal for those with poor circulation, Oedema, diabetes, and other problematic foot and leg issues. The HJ range includes socks with non-elastic tops, a range with a non-constricting mesh top, and a range of extra-wide socks. All of these ranges are ideal as swollen ankle socks. 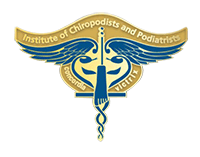 You can be confident that these socks do the job, not only do they come with an unconditional 6 month guarantee they are also accredited by the Institute of Chiropodists and Podiatrists. Foot and leg swelling often occurs due to Diabetes, foot injury or Oedema, all of which can be very uncomfortable without the appropriate footwear and socks, due to the elastic being too tight and constricting the leg. Podiatrists and Chiropodists throughout the UK recommend wearing specialist socks to eliminate restriction that can cut off blood flow and be very uncomfortable. What do HJ Swollen Ankle Socks Offer? HJ's range of premium quality, swollen-ankle socks are ideal for diabetics and those suffering with Oedema, and include special features and yarns. The socks in this range include features such as the non-elastic Softop® to avoid constriction, extra-wide socks to accommodate larger legs, and the specialist diabetic socks that are cushioned and have a non-restrictive top to aid sensitive feet and legs. All of the socks in the HJ range for Swollen Ankles are accredited by the Institute of Chiropodists and Podiatrists, so you can be confident they will be comfortable and less likely to irritate sensitive feet. There are a variety of medical conditions that can cause symptoms that include swollen feet, ankles and legs. These can include short-term conditions resulting from a trauma such as a sprained ankle or a broken foot; and longer-term health conditions such as oedema, diabetes, heart disease, and arthritis. So, whatever is causing your ankles to swell, swollen ankles and feet can cause a number of problems, the most common being circulation constrictions that can cause painful and unsightly markings on the leg, and irritations that can be extremely uncomfortable or painful to sensitive feet and legs. What to look for in Socks for Swollen Ankles and Feet? Extra-wide fitting Socks - These socks fit the intended shoe size, but have additional material throughout the foot and leg of the sock in order to accommodate the swollen leg without causing discomfort. 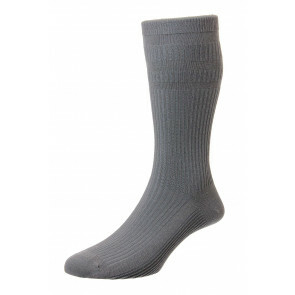 Socks with Non-constrictive or Non-Elastic tops - Often the elastic on regular socks can 'bite' into the leg and cause unsightly marking, as well discomfort and pain. Socks specially designed for swollen legs and ankles should either incorporate a loose, non-constrictive mesh elastic, or use the approach of the best-selling Softop® socks from HJ Hall, which use a patented non-elastic design in the top of the sock, so they don't restrict circulation or leave marks on your legs. The design uses three relaxation panels that contract vertically to hold the sock up on your legs, and eliminate the need for elastic that can affect blood circulation and movement, as well as cause the unsightly marking on your legs. Seamless toe Socks - Many socks from high-street retailers will have a noticeable seam across the toe area, where the sock has been finished. This seam can cause irritation to the wearer, especially if they have sensitive or swollen feet. Look for socks with a flat-seam, seamless or 'hand-linked' toe seam. Cushion sole or Full Cushioning Socks - Padding can prevent irritation or discomfort on sensitive 'pressure points', such as the sole of the foot or ankle. 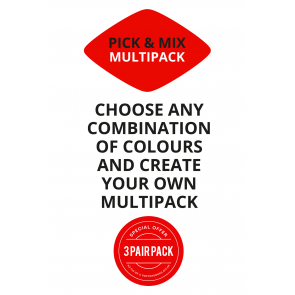 Choose a sock with appropriate cushioning, as too much material can be equally as uncomfortable if it makes a shoe feel too small. Breathable Socks - Let your feet breath! Natural fibres such as cotton, wool and bamboo-derived viscose, will allow air to circulate round your feet, reducing the chance of irritation and blistering. What else can I do too look after my legs and feet? Don't walk barefoot - You could damage your sensitive skin on your feet. Socks can help prevent damage to feet, as can a well-fitted pair of shoes. Look after your toe-nails - Keep them well-trimmed and maintained, this will be more comfortable for you and will also extend the life of your socks! ALWAYS seek professional treatment. - Do not attempt to home treat or follow treatments that lack scientific study and research. If in doubt, speak to your doctor or consult a podiatrist.